Gas Stoves - Sweep&apos;s Luck - Chimney, Dryer Vent and Air Duct Cleaning company serving San Diego and Lake Arrowhead. Stoves add a bit of rustic charm to any home. Stoves are available as wood, gas, pellet electric and even cook top models. Gas burning stoves are even more versatile than their wood counterparts. Gas stoves utilize direct-vent systems for venting and can sit directly on carpet or wood flooring. 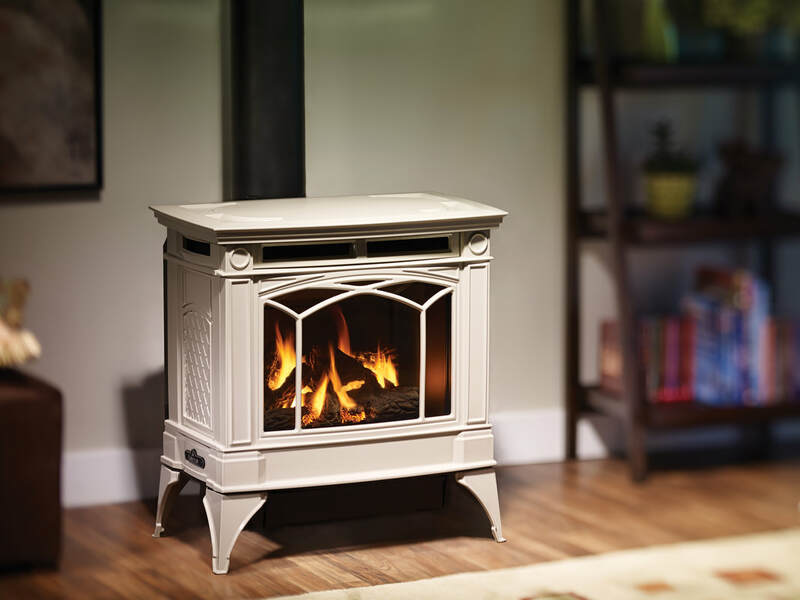 Even though clearances to combustibles are only a few inches, gas stoves can burn into the mid 70% efficiency range while heating very large rooms. Ignition systems allow the owner to operate the fire chamber even during power outages.